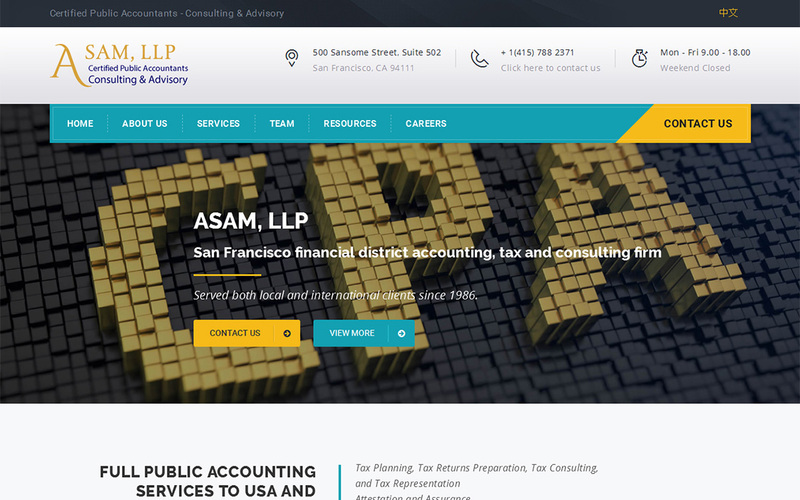 ASAM, LLP is a San Francisco accounting, tax, and consulting firm, serving local and international clients since 1986. Our scope of work in this project was to design a modern looking professional website with pages in both English and Chinese. We assisted the client in preparing their Chinese website content by hiring a local translator English/Chinese.